Free entry door with 8 or more windows. Replacement windows and new entry doors don’t just make an impression from a curb appeal perspective; they also make your home more comfortable. 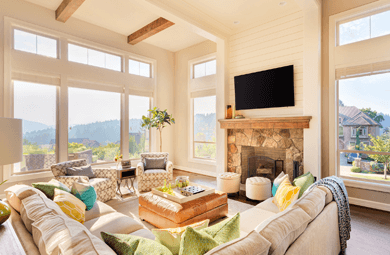 When it comes to cooling and heating, new windows and doors could also have the added benefit of lowering energy costs as well as improving the comfort level in your home year round. Each project begins with a visit from one of our courteous and highly trained professionals. A member of our design team will meet with you at your home and examine your current windows. They will then discuss your reasons for window replacement and your goals for the new windows, making sure to address common window problems like drafts, leaks, and rot. At the end of the consultation, you will receive a detailed transparent turnkey quote that includes product and installation. This quote is good for one year. Full-service means we handle everything from start to finish, spanning in-home consultation, manufacturing, installation, and maintenance that is our Signature Service Guarantee giving our customers the benefit of our decades of combined experience, professional installation, cutting edge products, and outstanding warranty. You want to keep one of the biggest investments in your life, your home, looking beautiful. Over time your home will need revisions, replacements and possibly even a complete renovation. 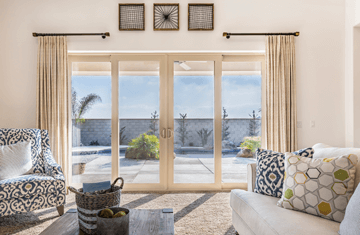 You can start by replacing older patio doors with new doors that also sport patio covers that make the outdoors a vital part of your interior. We have a great selection of entry doors, windows and even exterior siding. At Energy Savings California we want to help you plan exciting renovations that make your home look fabulous. We carry vinyl replacement windows, fiberglass doors, and solar powered systems from leading manufacturers such as CertainTeed Windows, Anlin Window Systems, Craneboard, and James Hardie siding.